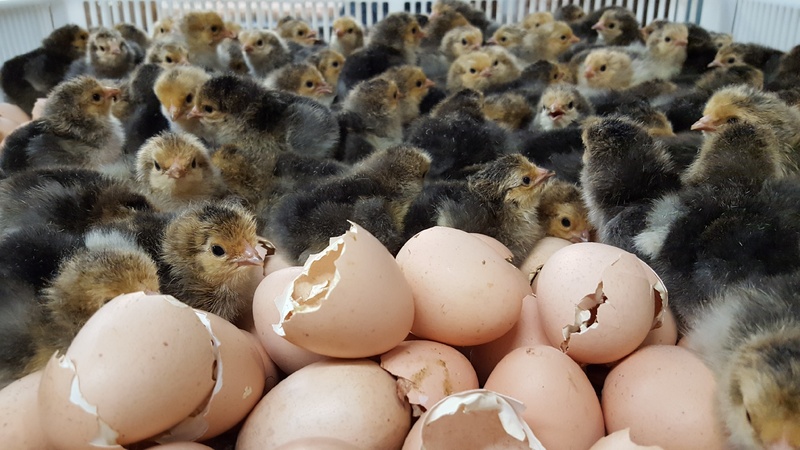 Limit of 20 Not Sexed. 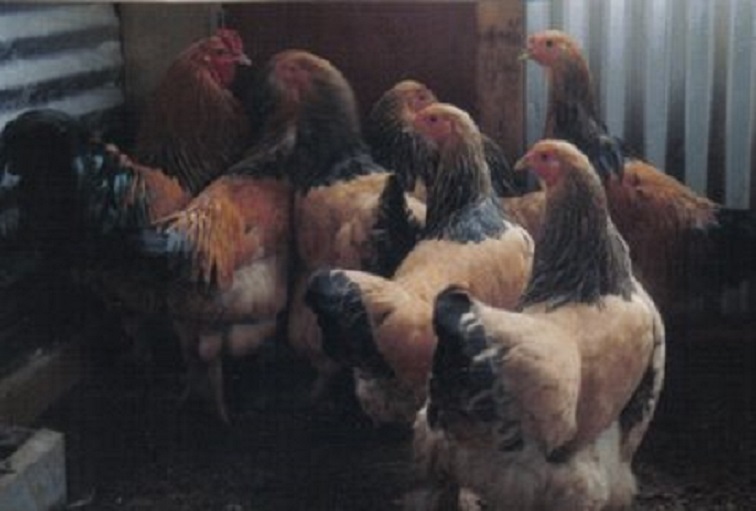 Limit of 9 Females and Males. 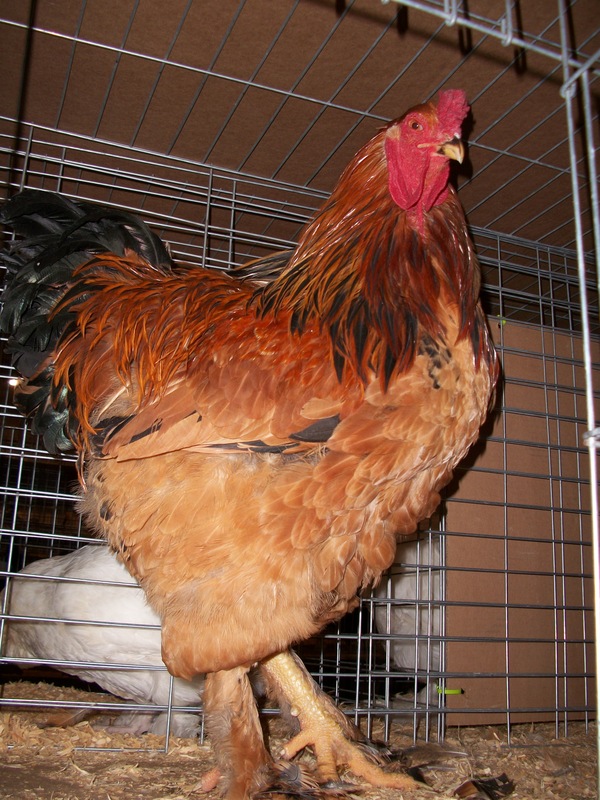 Buff Brahma chickens are gentle giants with feathered legs. 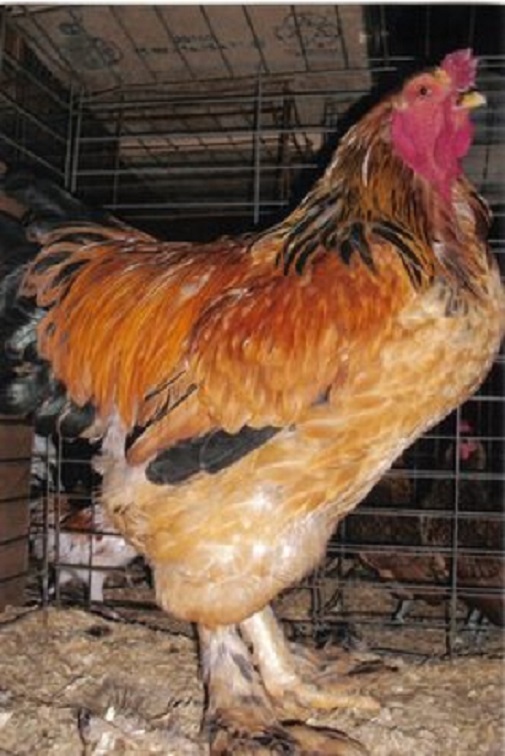 The Buff Brahma chickens have mostly buff coloring but have black tail feathers and neck feathers with black in them. 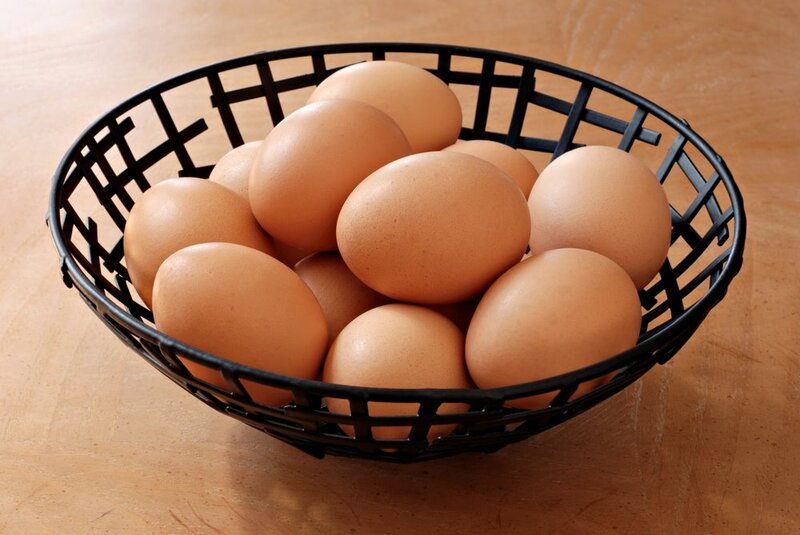 They lay nice brown eggs and are winter hardy. 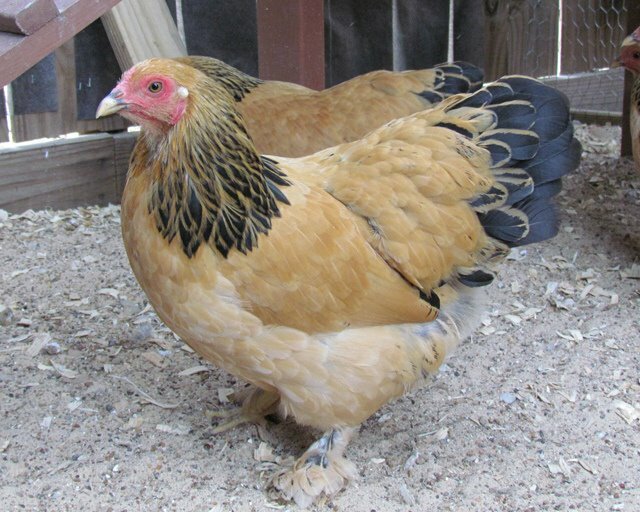 The Buff Brahma chicken is slow to mature but are gentle and make good mothers. 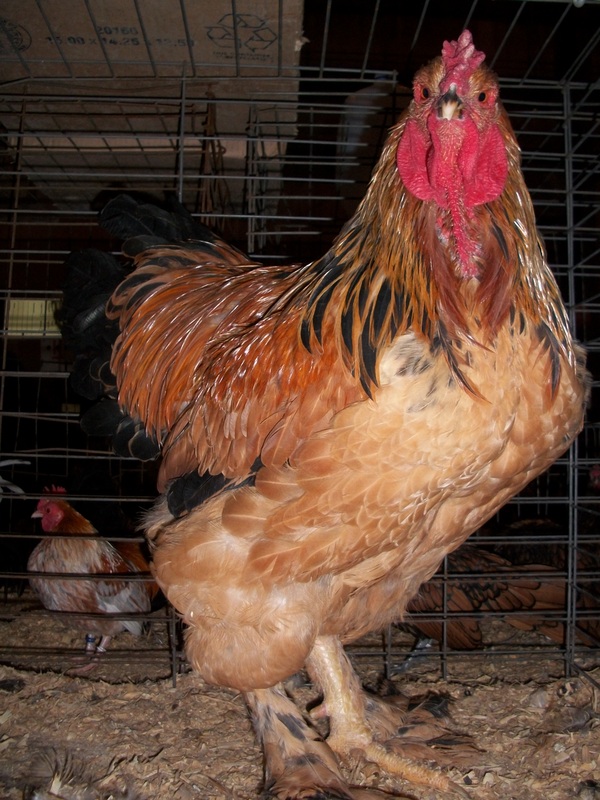 Brahmas are very cold tolerant and adapt to most climates because of their heavy body and thick feathering. 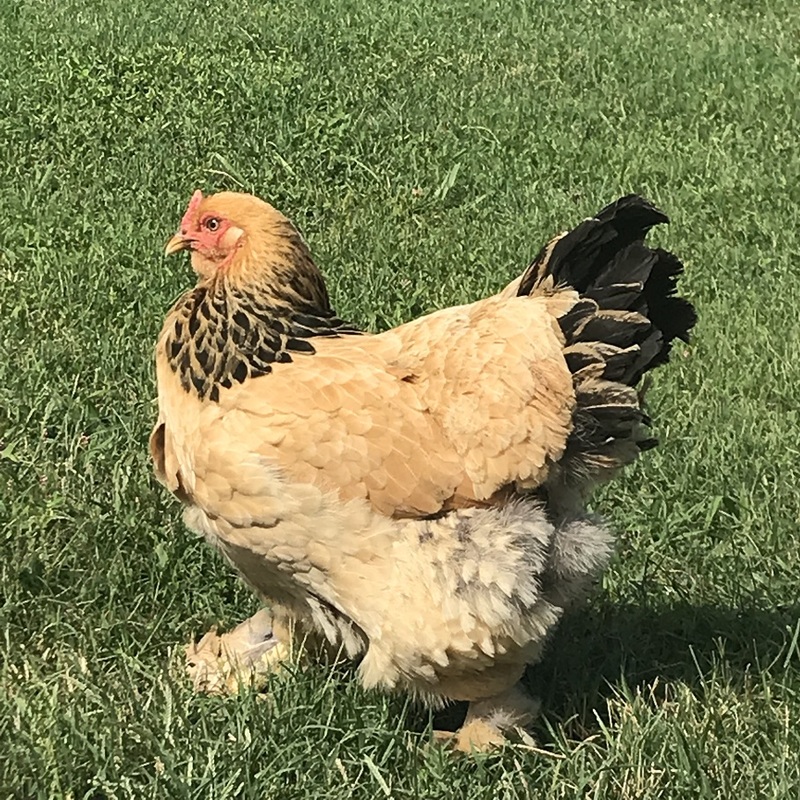 The Brahma breed also does well in the summer months if there is shade and cool water available all day. 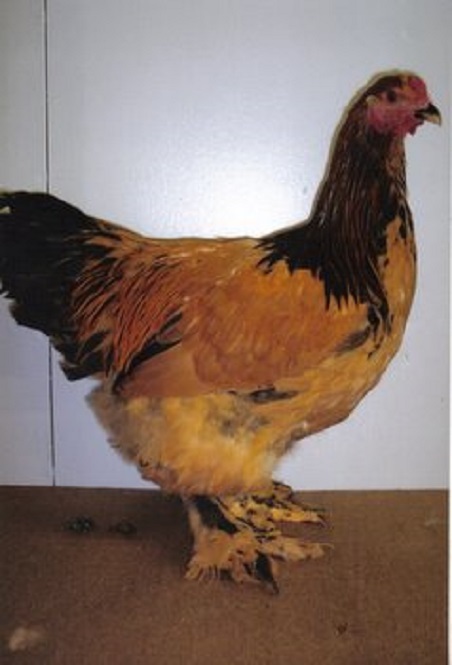 The feathered legs and feet can collect mud in the rainy weather, and snow in the winter. 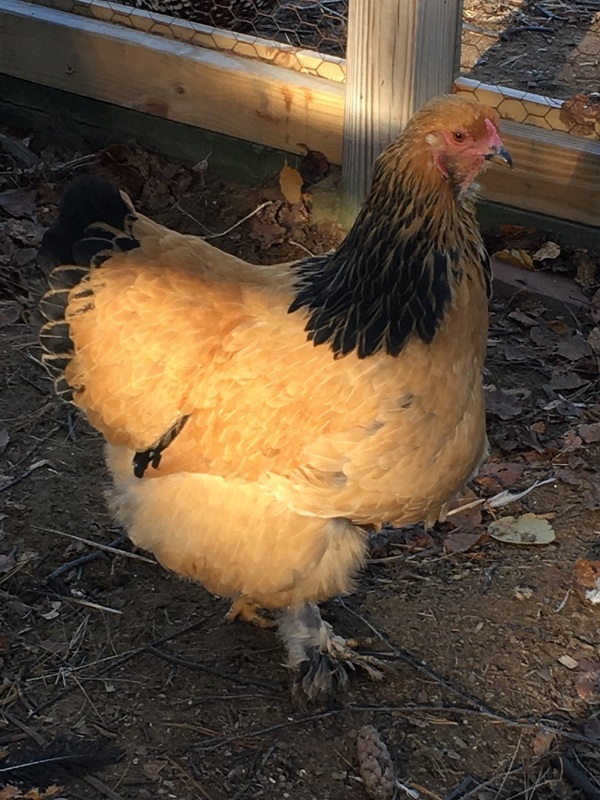 Keep an eye on their feet and clean them if needed. 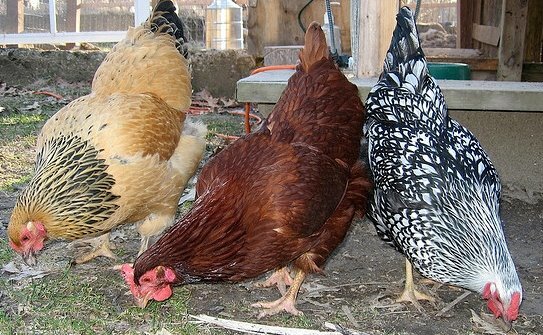 The Brahmas stand out in a flock due to their large size. 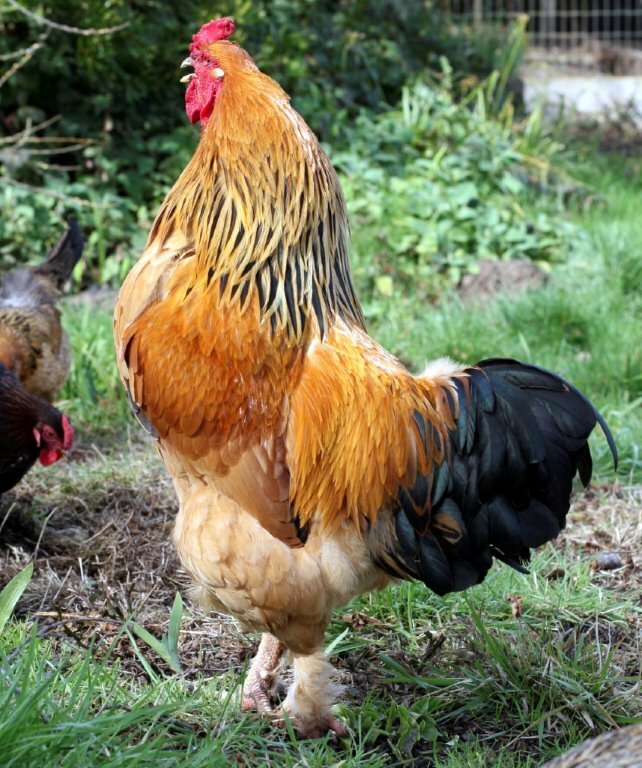 The rooster can weigh up to 12 pounds and the hen close to 10. 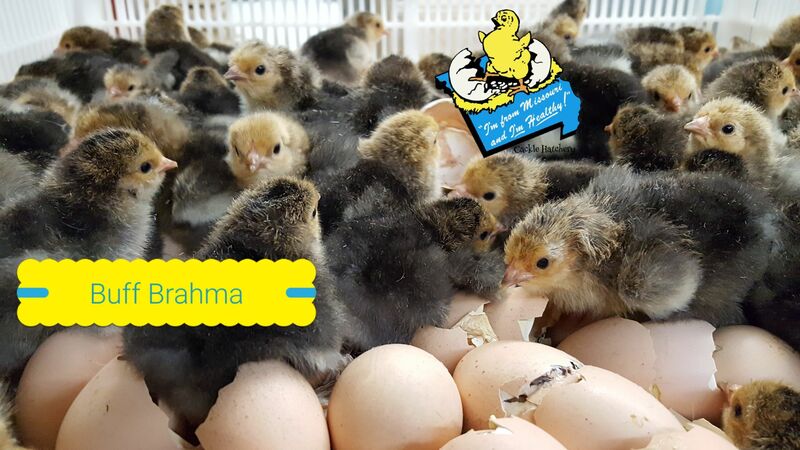 Cackle Hatchery's® Buff Brahma bloodline is a mixture of exhibition/show type and production type. 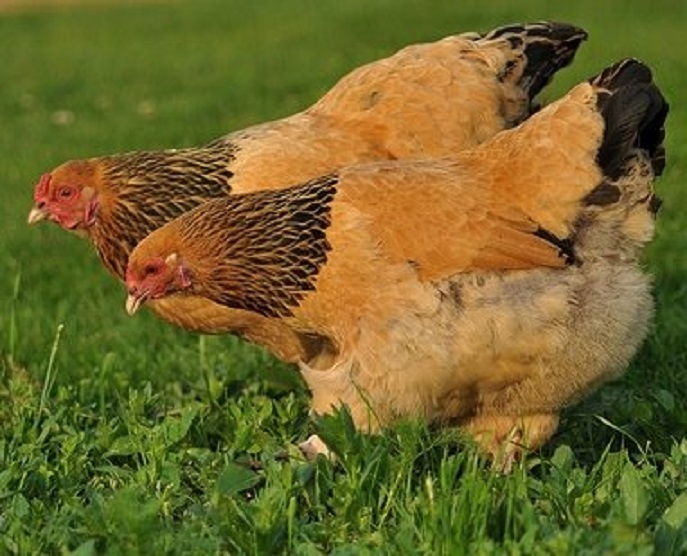 They have a big carcass for butchering, are below average for laying production but make great brooding hens for setting and hatching out baby chicks. 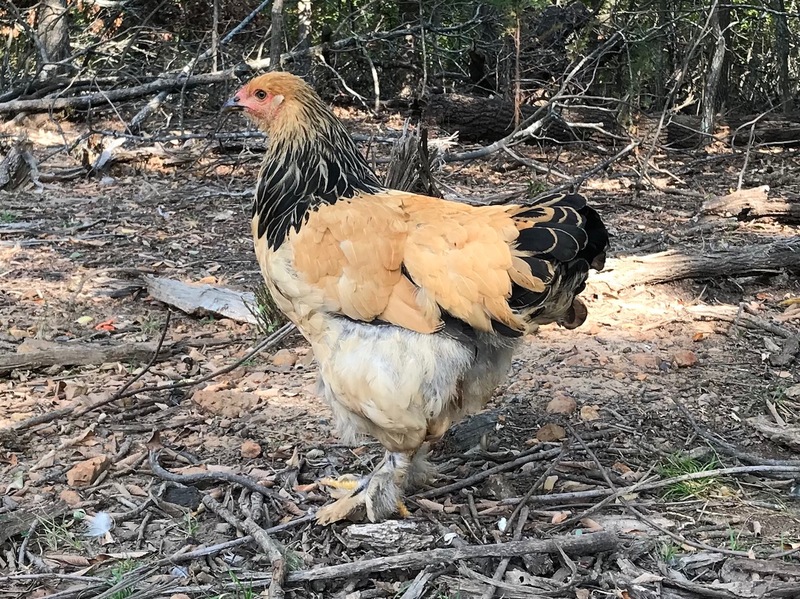 Brahmas make some of the best mothers for brooding baby chicks. 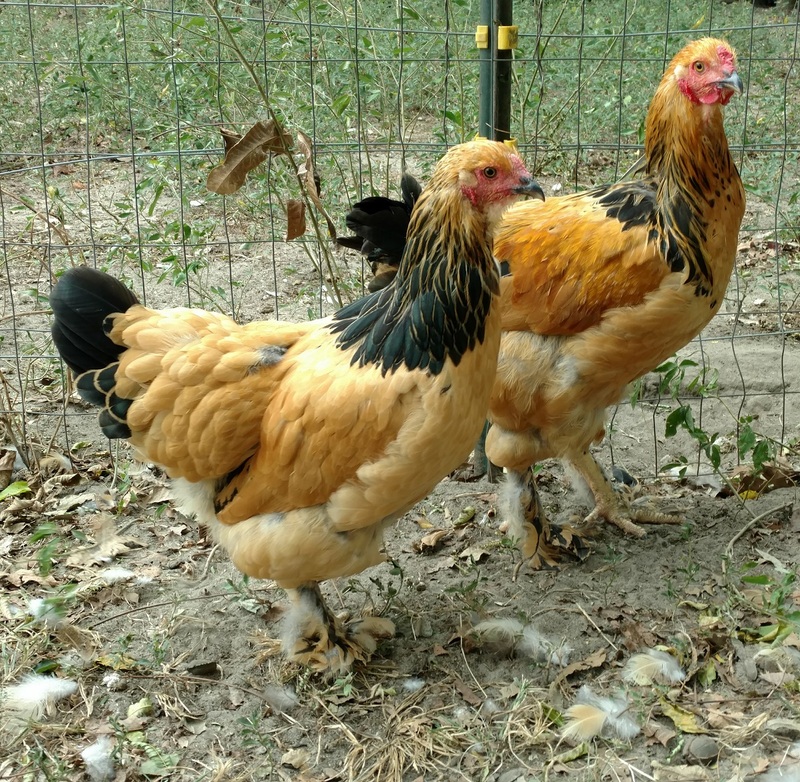 Be sure to order these early to reserve your Buff Brahma chickens. 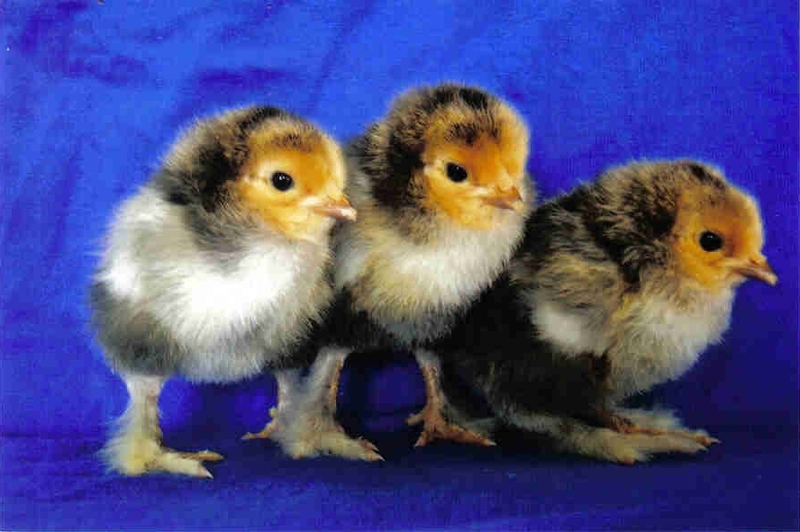 APA: Yes, Recognized by the American Standard of Perfection in 1924. 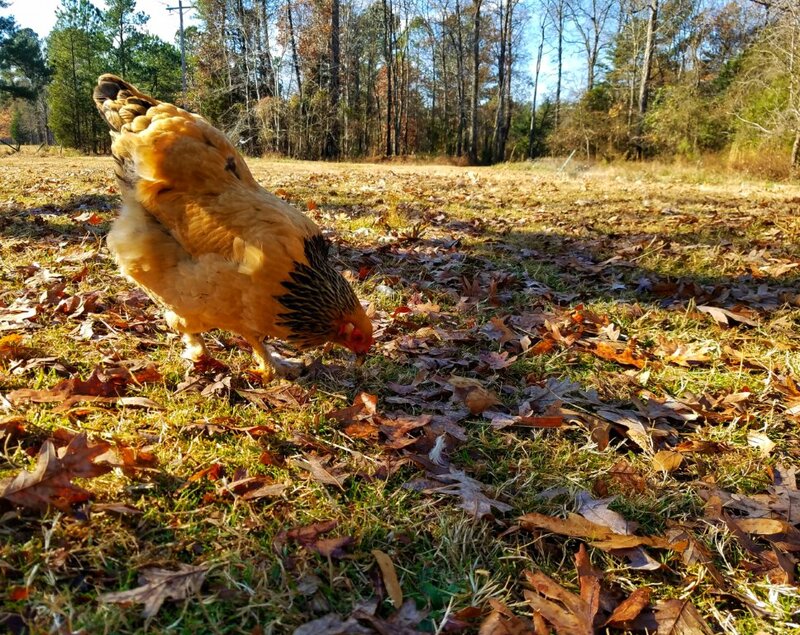 Breeder Farm Source: Cackle Hatchery® Poultry Breeding Farm has been developing our bloodline/strain of pure Buff Brahma since 1999.